For decades, Dieter Meier has been fascinated with Argentina. He saw potential in its agricultural and rich natural resources, and began to find ways to make Argentina’s high quality beef based on grass - fed. At Ojo de Agua farms, we produce all natural beef products that truly express the spirit of Argentina. Make the good better. 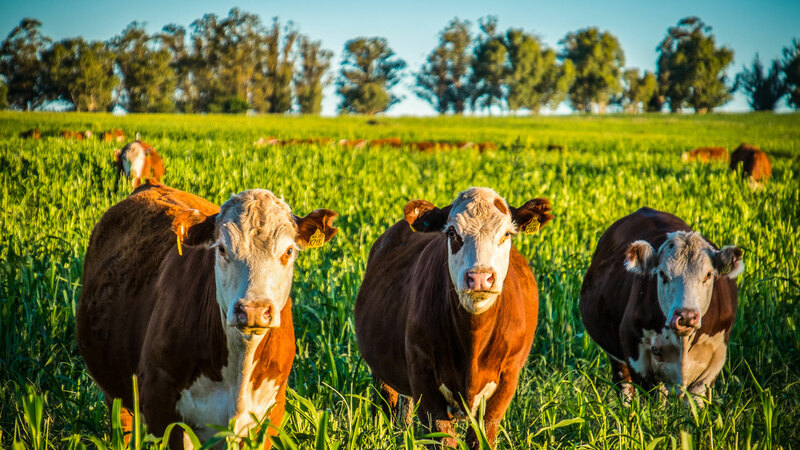 Argentina’s naturally blessed land is home to the greatest beef in the world, and that’s why Dieter decided to bring together an experienced team to take the best cattle genetics, and high standards of animal welfare, to produce a 100% natural product. Our healthy cattle live in the best beef producing region in the world. We truly believe that the only way to make an incredible product is when we honor where it comes from: the land, the farm, and the animal in a natural and sustainable way. Ojo de Agua stands for the best of Argentina - we are the farmers, we are the producers, we live on the land and care for the farm every day. Ojo de Agua’s gauchos have been raising the cattle since birth, ensuring our cows lead stress free and healthy lives. Ojo de Agua means the eye of the water, the source of the essence of all life. The water at Ojo de Agua comes from natural mineral-bearing springs that flow throughout the entire farm enriching and hydrating the soil with vitamins and nutrients.